St. Ann’s Puppet Lab, which is celebrating its 18th anniversary, is an experimental haven for puppet theater. 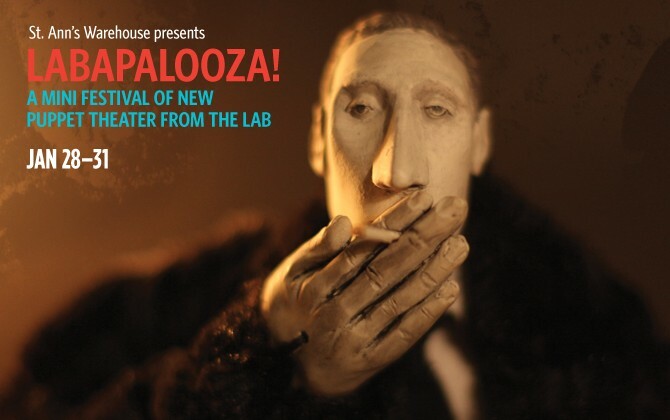 The Labapalooza! Festival embraces a variety of new puppetry works developed in the Lab over the course of a year, presented in two Programs A and B. This year’s festival artists explore the life-long friendship of Marcel Duchamp and Man Ray; hitch a ride on a dirigible; follow a humble dot on a journey for independence; and bring a National Geographic episode to the stage. Two city dwellers, Sabrina and Matteo, seek escape from the drudgery of urban living into the countryside. A search for a robin’s nest from Sabrina’s past leads them beyond beyond, where they hitch a ride on a dirigible helmed by a people on the verge of extinction: The Kioskers. Untitled Mindfulness Project / Session 1 and 2 experiments with practical manipulation of everyday elements (liquid, light, paper) to investigate the unconscious. Allow your mind to wander to parts unknown. Inspired by Wassily Kandinsky’s quote, “Everything Starts from a Dot” is an abstract journey of a humble dot exploring microscopic yet cosmic territories. Featuring a lone human performer against a tide of geometric performing objects and a chorus of indifferent puppeteers, Discrepancies submerges the audience in a series of meditations about our dependence on technology, the allure of blind faith, and the question of whether participation is even a choice. In the narrative style of a nature documentary, we follow the trail of two brother wolves as they go from orphaned pups in their discovery of the world around them to adults ready to find a pack. In nature, there is no good and evil, there is only the struggle to survive. See both LABAPALOOZA programs and save! Get a sneak peek at Member benefits when you buy both Labapalooza Program A and Program B! You’ll save 10% on each ticket and the $3 per ticket service fee will be waived! So, basically, with each combo package you save $10! One combo package gets you one ticket to Program A and one ticket to Program B. Select the number of combo packages you want and follow the instructions to reserve your seats to each show. Following the 3 PM performance please join us for an artist talk back. 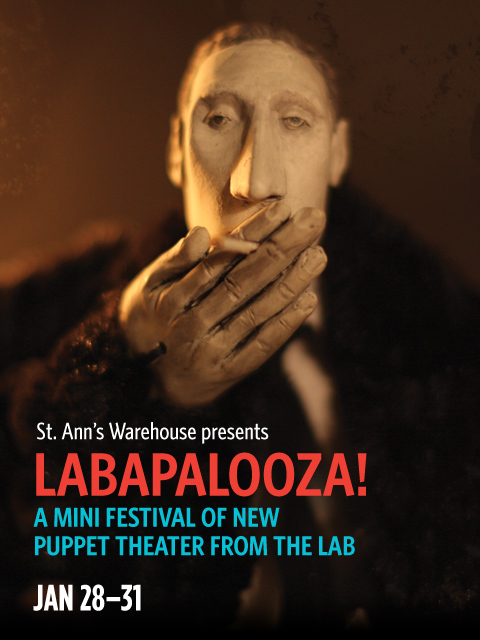 St. Ann’s Puppet Lab and Labapalooza Festival are supported by Cheryl Henson and The Jim Henson Foundation. Way more sophisticated than your average puppet show.